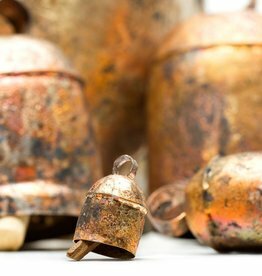 These bells are made by Janmamad Luhar in the Kutchchi desert region of western India. The bells are formed from sheets of recycled steel. They are beaten into shape by hand, then dipped in copper.